COIDA is the body that we report to when an employee is injured or contracts a work related illness while on duty? The Compensation Fund for Occupational Injuries and Diseases Act, Act 130 of 1993 (COIDA), is the Act that deals with injuries and diseases in the work place. The funds for claims are generated by employers paying an annual levy. 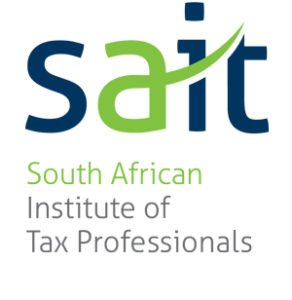 Your Payroll Department should allow for a monthly provision for this annual payment. 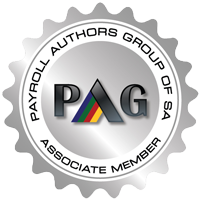 Or payroll services will complete the Annual Return of Earnings on your behalf. This should be submitted by 31 March each year. Who has to register for COIDA? An employer or a company who employs one or more workers. Employees employed in the mining and building industries have their own Compensation Fund Organization. An accident occurring during work hours should be reported to the employer. This to safe guard persons should this develop into something more serious later. Written or verbal notice of an injury at work is to be given to the employer before the completion of the shift. The employer should make a list of all witnesses of the incident. An official form, W.Cl2 (Notice of Accident and Claim for Compensation) should be completed as soon as the incident has been reported. Should medical attention be required or death has resulted in the accident, this form must be submitted to the Compensation Commissioner within 7 days. Part A, Page 1 must be completed. Part B should be detached and handed to the employee to give to the medical practitioner should medical attention be required. In serious cases, Part B must be handed to the emergency services personnel who have responded to the emergency. Complete ‘Part A’, Page 2 and send to the Compensation Commissioner. Attach a certified copy of the employees ID and a first medical report (W.Cl4) if available. The Medical Practitioner must complete a W.Cl 4 form (first medical report in respect of an accident). This must detail the seriousness of the injury and length of time the employee is likely to be off work. N.B. Employers are obligated to report any alleged accident to the Compensation Commissioner. Employees are not responsible for the payment of medical costs. Should an employee request a second opinion, he/she will be responsible for the payment of this examination. When the Compensation Commissioners office has received the claim the employer should receive a postcard (W.Cl.55). This contains the claim reference number that must be used for all paperwork relating to the claim. Once the first doctor’s report has been submitted with the accident report, the Compensation Commissioner will consider the claim and make a decision. After the Compensation Commissioner has accepted liability for the claim, a postcard (W.Cl.56), will be sent to the employer. Where a W.Cl.56 is not issued, it normally indicates that the Compensation Commissioner has not accepted liability for any payment. If the worker disagrees with the decision, they can appeal the decision within 90 days by submitting form W929 to the Commissioner. A Progress Medical Report – W.Cl 5, will be sent by the medical practitioner if this is a prolonged absence from work. The Progress Medical Report must be submitted on a monthly basis until the employee is well enough to return to work. This updates the Compensation Commissioner on the status. A Final Medical Report, W.Cl 5, must be sent to the Compensation Commissioner once the employee is fit to return to work or permanently disabled. The practitioner must send this form to the employer who sends it to the Commissioner. A Resumption Report, W.Cl 6, is completed when the employee returns to work and must be submitted to the Compensation Commissioner. The case will only be closed and final payments made as soon as all the above stages have been completed satisfactorily.